Lil Uzi Vert has responded to a viral photo of himself wearing a shirt that some folks are saying belong on a female. 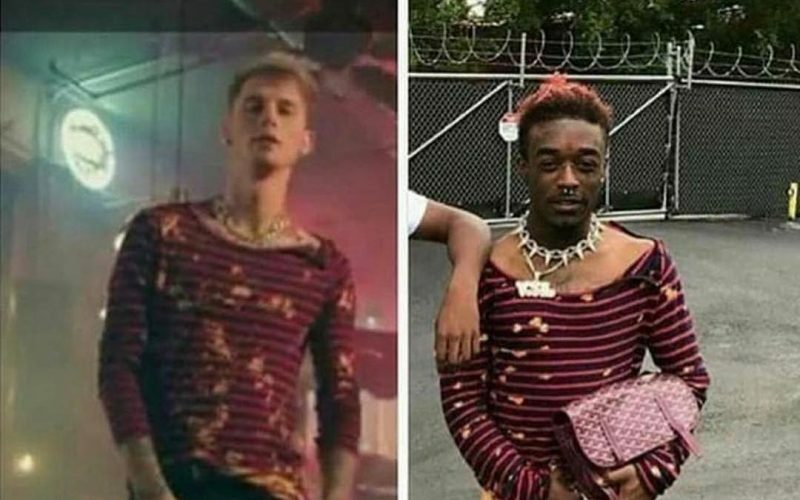 There is also a new photo of Machine Gun Kelly wearing the same shirt, so perhaps it was just Lil Uzi Vert pose and or accessories that made it look a bit more feminine. Paparazzi caught up with the Atlanta rapper yesterday and asked him about the shirt and his response was that it cost $2,400. He didn’t revealed the brand or where he bought it, but we doubt anyone is interested in that info. 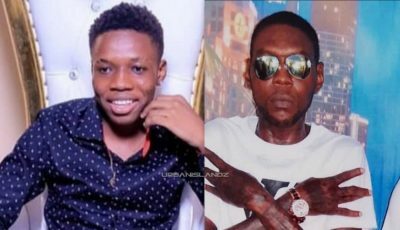 Several celebrities have weighed in on the shirt including, 50 Cent, Waka Flocka Flame, Tyrese and more who have comment on the news. Waka Flocka went as far as to say that he doesn’t see Lil Uzi Vert as a rapper but more like a rock star. He named artists like J. Cole, Kendrick Lamar, Meek Mill, and Logic as hip hop artists on the scene no, but as for Uzi Vert, he is more rock he said.